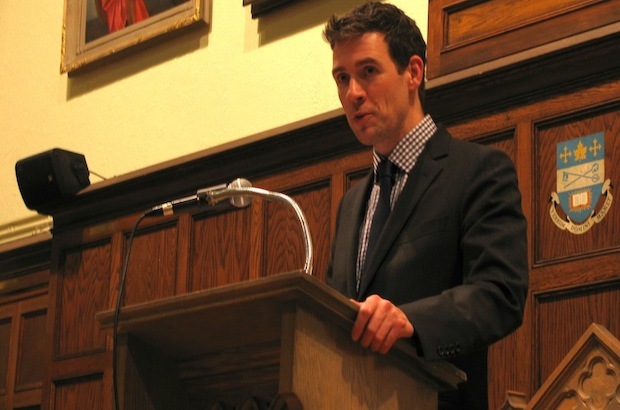 Earlier this week, seminarians at St. Augustine’s Roman Catholic Seminary in Scarborough, Ont., were invited to join the Wycliffe College community in Toronto for an evening of ecumenical fellowship and a lecture from Andrew Bennett, Canada’s ambassador to the Office of Religious Freedom.The evening was structured in three parts, beginning with a service of evening prayer featuring a sermon by the Rev. John-Mark Missio, lecturer in pastoral theology at St. Augustine. The service was followed by a shared meal and Bennett’s lecture. Such events have been taking place on an annual basis for some 10 years, according to the Rev. Dr. Peter Robinson, who teaches worship and ministry at Wycliffe College, and grew out of a friendship between their respective presidents. 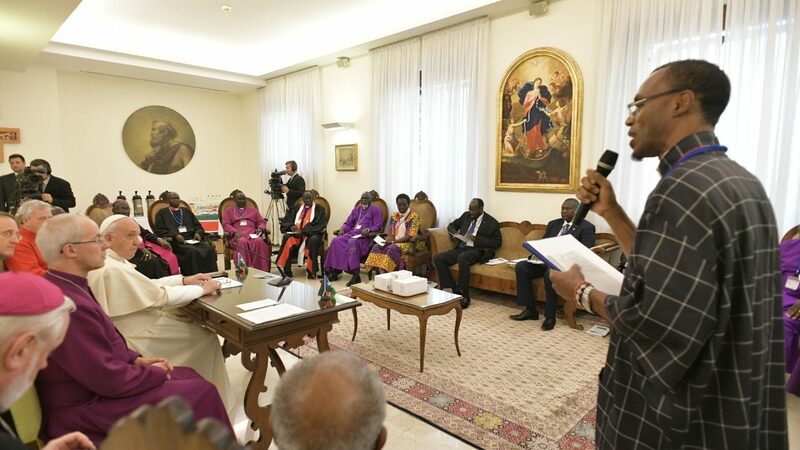 Robinson noted that such events are held in the spirit of ecumenism, with the hope that they will give Catholics and Anglicans an opportunity to get to know each other. 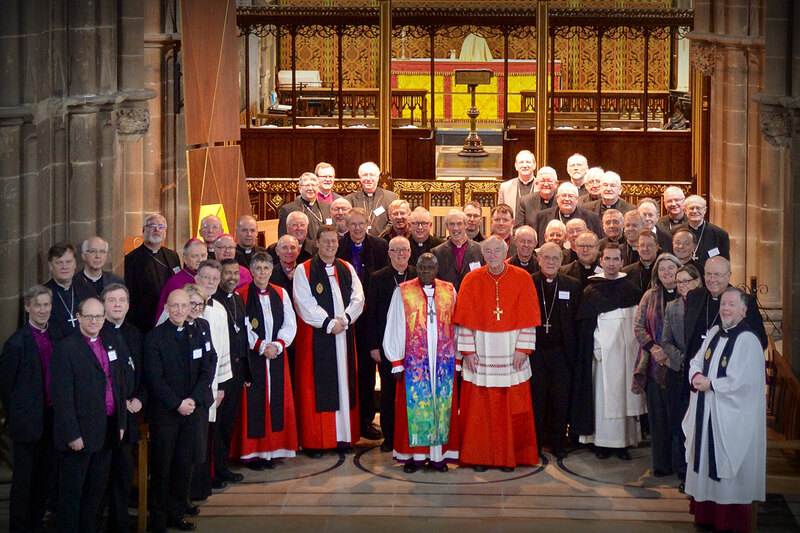 Roman Catholic and Anglican bishops, paired from thirteen regions around the world, have begun their meeting in Canada in which they are reviewing and evaluating the accomplishment of thirty years of ecumenical relationship between Anglicans and Catholics in their areas. The pairs of bishops come from New Zealand, Canada, England, United States, Ireland, India, Nigeria, Papua New Guinea, Southern Africa, Uganda, Australia, Brazil and the West Indies. The bishops are gathered in private session at the Queen of Apostles Renewal Centre near Toronto, Ontario, under the joint chairmanship of Archbishop of Canterbury George Carey and Cardinal Edward Idris Cassidy, President of the Vatican’s Pontifical Council for Promoting Christian Unity. Their first day has begun with a morning of prayer and scriptural reflection. The following days will begin and end with common prayer.